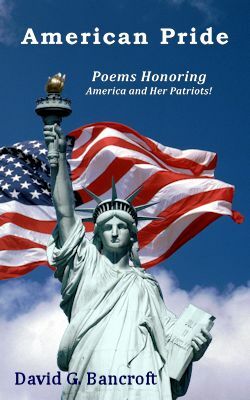 American Pride is a collection of my patriotic poems related to our beloved USA and all the loyal patriots ... that I wrote starting shortly after the terrorist attacks on September 11, 2001. And it is all about being one nation of “We The People” graced by Old Glory flying above… under God! You can order American Pride at the following retailers with the understanding that suggested retail prices for the paperback and eBook are offered at discounted pricing by retailers at their discretion and timing.